The Prime Minister of Tonga, Hon Samuela ‘Akilisi Pohiva has accepted Lord Ma’afutukui’aulahi’s resignation form Cabinet as Minister for Lands and Natural Resources as well as Minister responsible for His Majesty’s Armed Forces. “I received this afternoon (Friday 02 May) received Lord Ma’afutukui’aulahi’s letter of resignation from Cabinet and I have accepted it. 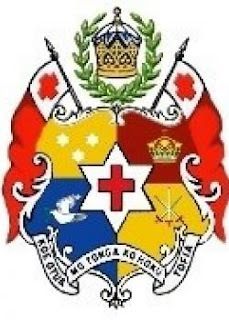 I will now recommend to His Majesty, King Tupou VI, in accordance with clause 51(3)(a) of our Constitution that because I have received his letter of resignation, that Lord Ma’afutukui’aulahi’s appointment as Minister for Lands and Natural Resources and as Minister responsible for His Majesty’s Armed Forces be revoked forthwith, said a government statement posted online. Earlier in the week, the Minister for Police, Customs and Revenue, Hon. Mateni Tapueluelu tendered his resignation but the Prime Minister did not accept his decision.